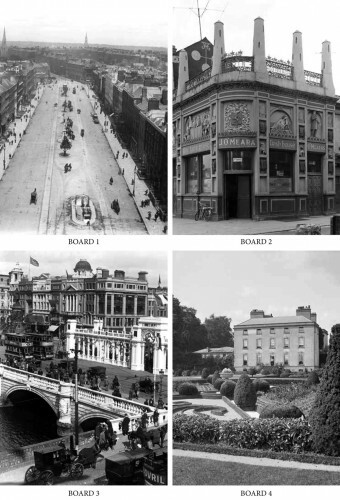 A guide and curator at Dublin Castle, William Derham, has written and edited a mammoth 400- page book on Ireland’s vanished architectural gems between 1860 and 1960. 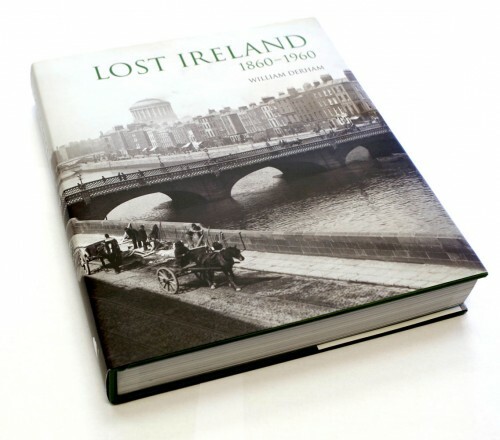 Lost Ireland:1860- 1960will engage not just those readers who remember many of the images portrayed but will also spark the imaginations of that younger Irish generation that can only remember rampant property developers. The author, Derham, studied architecture at Dublin Institute of Technology (DIT) and building repair and conservation at Trinity College Dublin (TCD). For the past eight years the author has worked as a guide and curator at Dublin Castle. 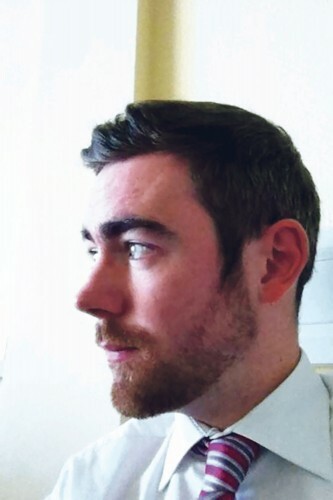 He is joint editor of The Chapel Royal, Dublin Castle: An architectural History and co-curator of the accompanying exhibition, Pinnacles, Pomp and Piety: 200 Years of the Chapel Royal at Dublin Castle. One thing that emerges from the book is the contrast between the opulence of many of the buildings and just how poor much of Ireland was for a large part of the century under review. Some of that poverty can be seen in pictures of homes that are little more than mud huts. As older readers will recall 1960 is the turning point in modern Ireland, just after Sean Lemass became Taoiseach in 1959. Lemass, born in 1899, and T K Whittaker set about modernising a failing, agrarian, grindingly poor, protectionist economy and made the first of several attempts to join the EEC. Among the treasury of photos is a bird’s eye view of O’- Connell Street, formerly Sackville Street, from Nelson’s Pillar. The book aims to give a portrait of Ireland through its architecture -“the mud huts of the transient labourers, the thatched mansions of of the prosperous farmers, the grand homes of the well-to-do and the infamous “big house”. It covers all four provinces and 32 counties. The author, Derham, says of the story Ireland’s old buildings tell, that: “Only relatively recently have we awoken to the value of such structures, both to our identity and our curiosity.